Girls and young women develop the literacy skills, leadership abilities and confidence they need to achieve their potential. 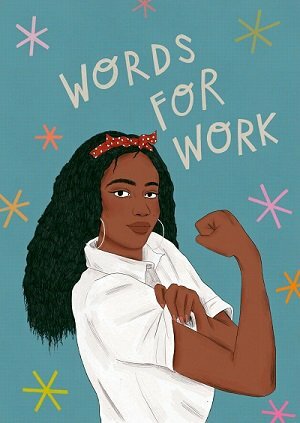 Our Words for Work: Women in Leadership programme, in partnership with Lancôme, aims to challenge inequalities in employment opportunities for young women in post-16 education. We will deliver a series of interventions to promote workplace literacy, including teacher-led workshops in schools, a visit to Lancôme’s offices, and a panel event with inspiring women in leadership positions. The programme is currently being launched in schools and colleges across London, Manchester and Nottingham. If you would like to get involved with Words for Work: Women in Leadership in the future, please email us. The negative effect of poor literacy skills on employability is twice as large for women than for men. 64% of young women believe they won’t have the same chances to be successful in their future jobs as men. Women in the UK are three times less likely to hold director-level roles than men (26% vs 74%). At every level of education, women need to earn one additional degree in order reach average salaries in line with men’s averages.